Plot: A mission is botched in Hungary, and the ruling order of MI:6 is sent packing. However, when it emerges that there is a long-standing and high-ranking mole, one of the retired spies, George Smiley, is brought back to "the circus" to find the traitor. Cinema has a new number one spy. Grey-haired, myopic and a cuckold, George Smiley is a million miles away from James Bond or Jason Bourne, and whereas they would thrill audiences with car chases and gunfights, Smiley exhilarates by interrogating an empty chair. 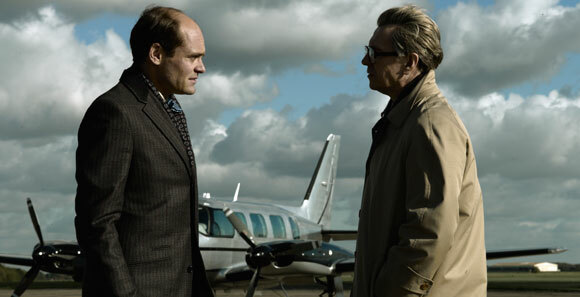 The fact is that comparisons between those franchises and Tinker Tailor Soldier Spy are flawed for so many reasons, but if this film is successful (and it has great potential to be so) it will be a great victory for the sort of intelligence which was merely glimpsed in Casino Royale and entirely absent from Quantum of Solace. With a potential trilogy in the offing, could it be that the multiplexes are about to adore a spy who is “small, podgy, and at best middle-aged”?